Yay! It’s St. Valentine’s day! I got a date with Valentine’s special edition chocolates and every chocolate with special price! For someone like me, I’d better go out alone and get my greedy self some extra chocolates. 1. I have no human to date. Yes, since I’m a single human being, I have no partner in life (I have no lover, I am not planning to get one). 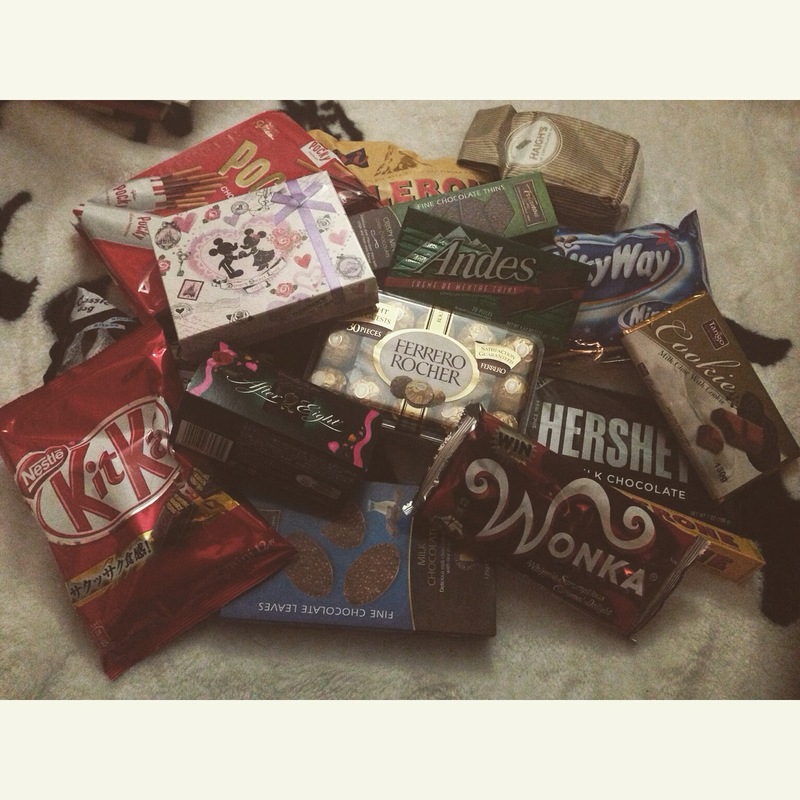 Chocolate is one of the most important substance in my life. I shall have in in my vault at all times. Therefore, I shall buy a lot of chocolates since it’s gonna be on sale. 3. I can’t go to orphanage here. 4. I’m having a late Christmas party with my friends. Though St. Valentine’s day in Japan is a bit different than in my country, they still have special chocolates. So, here, girls make their own chocolate and give it to a guy they like (love). Then next month, White day, it’s the opposite. And in April, there’s a day dedicated for single people (which is sad, not really a celebration). I’m just so excited to eat my chocolates!!!! 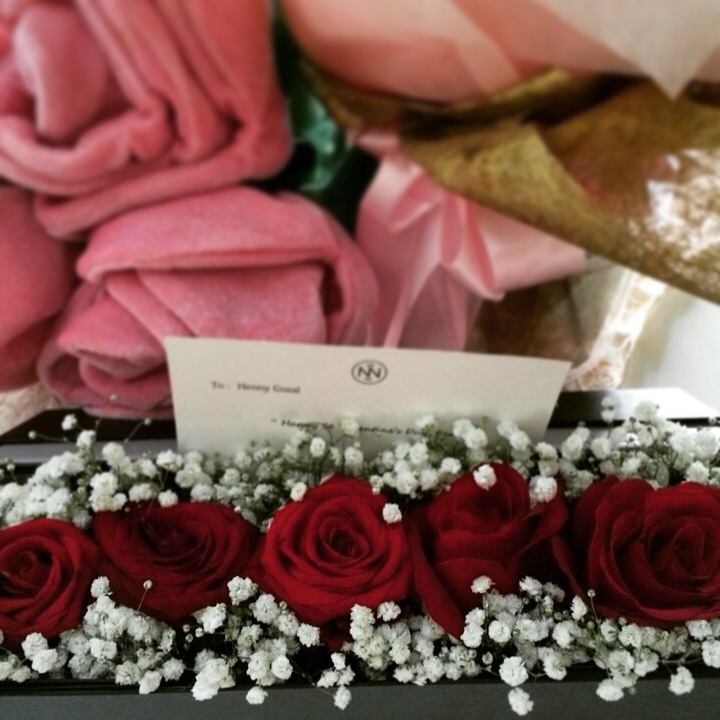 I’ve sent some roses for my fams. Ain’t I care oh ain’t I care…? I got bunch of chocolates!